Calling all Bucks animators! 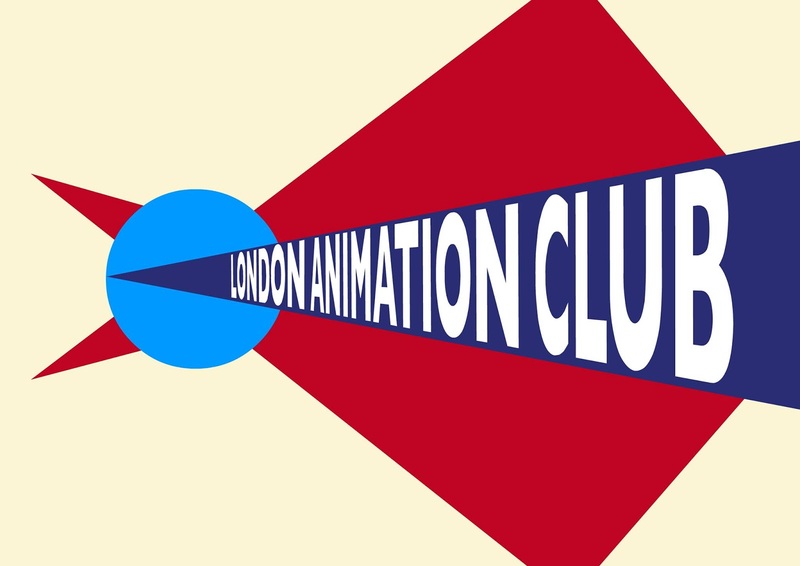 Why not come to the next London Animation Club meetup on Tuesday 4th April 2017? The LAC will be screening a little known animated film titled "Know Your Europeans", in honour (or not) of the UK triggering Article 50 on Wednesday 29 March and announcing its intention to leave the European Union. 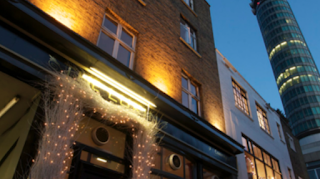 More importantly, informal societies like LAC offer the opportunity to meet other London-based animators and find out the latest news and gossip. There isn't a better place to find out who is hiring animators than in the pub over a pint of London Pride. Enter the Character Design Challenge! Calling all Bucks Character Designers! There are just two days left to enter this month's Character Design Challenge! The CDC is a bit like the Eleven Second Club, but for character designers. It launched in 2015 and already has over 25,000 thousand members. This month's design challenge is .....Carnival of Venice! So what are you waiting for? Let's get designing! How Do You Stop The Feet Sliding When You Animate a Walk Cycle? How do you stop the feet sliding when you animate a walk cycle? It's a question often asked by animation students and, since the answer is a little technical, here is a free video which explains how to tackle the problem. It runs about 10 minutes, and should help explain how to get it right first time, and stop those feet from slipping around. We're currently taking applications for the September intake of our online MA in 3D animation. The online MA is a unique degree which can be undertaken by students anywhere in the world, leading to a formal qualification in the field. "Bring Your Own Animation" (BYOA) is an animation event that takes place every month in London, usually on a Monday night. This month it is being held on Monday 20 March at 6.30pm at the Lukin pub, 4 Conway Street in central London W1T 6BB. Anyone can bring their animation or just come along for drinks. If you are a student, or a professional who's working on a shot or a reel, bring your work and get feedback from Professional Animators. 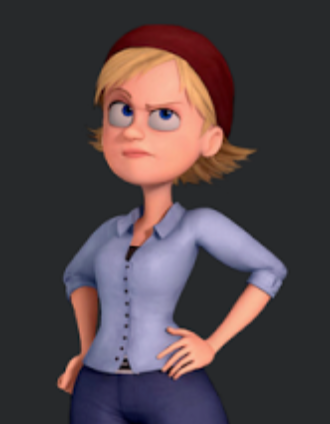 Bonnie is a free character rig from Josh Sobel, creator of the excellent Kayla rig which can be downloaded for just $12. Bonnie by contrast is absolutely free, and is an excellent rig for learning character performance and dialogue. Josh Sobel describes Bonnie as "a free legacy rig. Bonnie has been downloaded and animated over 20,000 times, and though she's a bit dated, you can still pull a decent performance out of her for the low, low price of free". Bonnie can be downloaded for free from Josh Sobel's website. We're recommending her to all our students for character performance and dialogue animation. Gesture drawing is an important skill for animators - it helps us learn how to capture a pose, and to master the art of visual storytelling. After all, planning your animation with quick thumbnail sketches that tell a story is still one of the core skills of the 3D animator - it's why we still need to know how to draw - at least just a little bit. Here at Bucks we're recommending this series of videos by Proko, all hosted for free at his YouTube channel. There are lots of great videos but the particular playlist we're interested in is titled "Figure Drawing - How to Draw People". You can find it here. Bucks animation student Anna Laura Zielinska recently got a job as an animator at Touch Surgery, a London (and New York City) based company that specialises in medical animation - bringing surgical procedures to life, helping to teach the next generation of surgeons their life-saving skills. 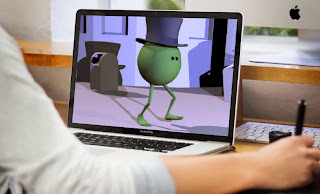 Anna started our online Masters degree in September of last year, using the tutorial videos and bespoke feedback at Animation Apprentice to hone her skills. We congratulate Anna on the new job.